It's no secret that Taylor Swift loves to rock a floral print, all day everyday! We can't get enough of her ladylike, vintage inspired style, and we're here to help you steal her look. Our original vintage and vintage inspired floral dresses are a real treat! 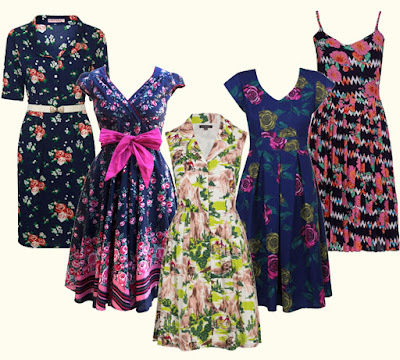 Crammed full of vintage loveliness, with a popping print that will certainly turn heads this summer. So are you ready to rock a bouquet of fearless florals? We sure hope so! From 1940s tea dresses, to flirty fifties proms, to 70s jumpsuits and 90s dresses, the humble polka dot has stayed with us throughout the eras to add an instant dose of chic to any outfit. 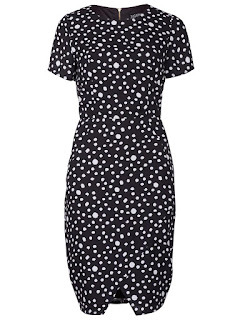 The spotty print is flirty and fun, and will go with absolutely anything. Most recently polka dots have been appearing on the street style radar, with fashion icon Olivia Palermo giving them a modern day update by teaming her spotty shirt with mirrored sunglasses and a super smart clutch. Wanna get the look? Well we've got you sorted! 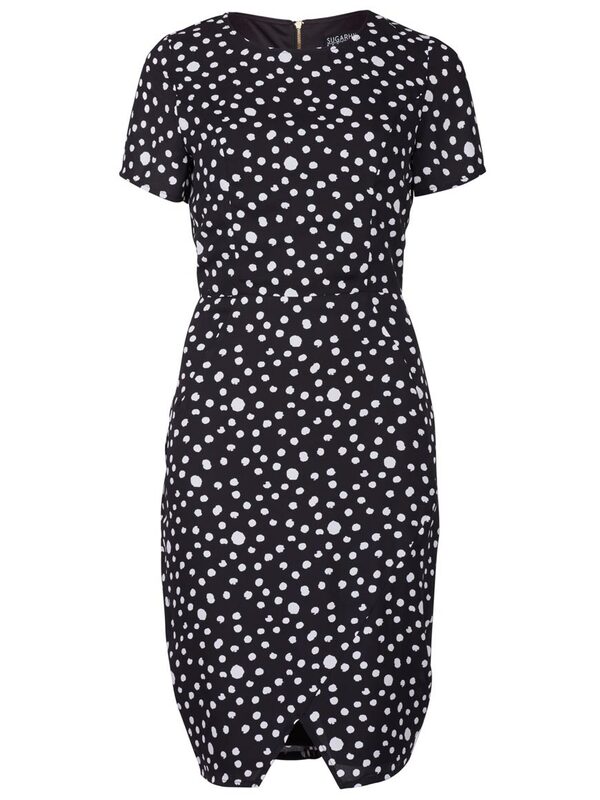 The Sugarhill Boutique Gemma Random Spot Dress has a real 1950s feel, with its nipped in waist and modest sleeves. Our favourite detail, however, is the cool wrap over skirt which gives a sophisticated edge. This versatile style is work appropriate, and is chic enough to work at your next big night out too - a wardrobe winner for sure!